VIPAccessEXCLUSIVE: Jaheem Toombs Interview With Alexisjoyvipaccess At “The Outcasts” Movie Premiere! He’s a phenomenal actor, has one of the most fun-loving and vibrant personalities, and he’s certainly the life of the party – he’s the one and only, Jaheem Toombs. There is no question about it that Jaheem Toombs is one of our favorite people on this planet. He’s an incredibly talented actor who has showcased his talent in many excellent projects including on Nickelodeon’s hit show, 100 Things To Do Before High School. In addition to excelling at on-screen acting, Jaheem is also recognized for his brilliant and awe-inspiring theatrical work. He has such a sensational singing voice and he leaves everyone speechless and absolutely mesmerized in any and every theatrical project that he is a part of. Of course, whenever we talk about Jaheem Toombs, we also always have to mention his impeccable sense of style. He always rocks the red carpet and looks so extraordinary while doing so. Jaheem has a lot of spectacular projects that he is working on that he is ready to bring out to all of his fans and we know that he will once again blow us away with all of his exceptional work and successes. 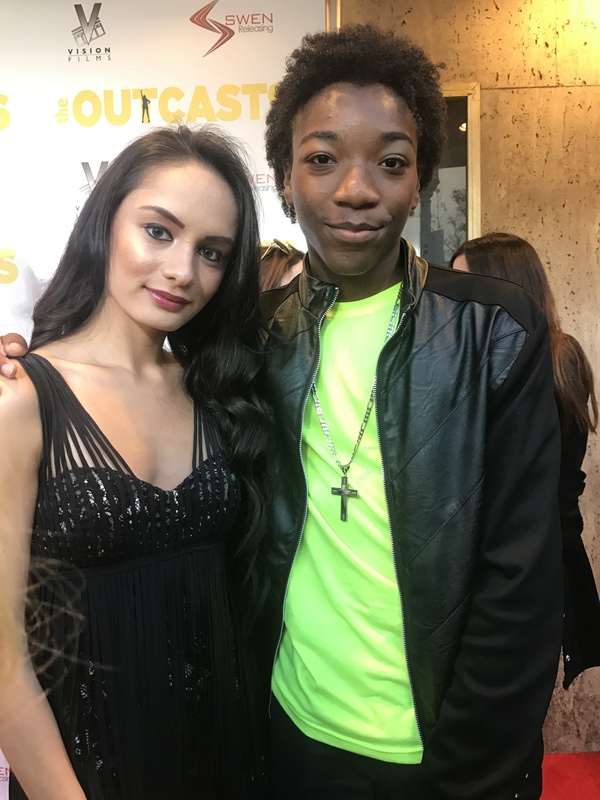 I, Alexisjoyvipaccess had a fantastic time covering and attending The Outcasts movie premiere and had a great time catching up with and interviewing the remarkable Jaheem Toombs again at the event. Jaheem Toombs dished exclusively to Alexisjoyvipaccess all about what his greatest memory from high school is and he even sent out a wonderful message to all of his fans. Plus, since The Outcasts movie takes place in the high school setting we all know and remember, Jaheem Toombs even revealed what superlative he would give himself – hear what he had to say in our VIPAccessEXCLUSIVE updated interview below. Thanks for another fun interview, Jaheem! Check out my VIPAccessEXCLUSIVE updated interview with the outstanding Jaheem Toombs at The Outcasts movie premiere below! Previous VIPAccessEXCLUSIVE: Electric Sky Wine Helped Attendees Celebrate A Sweet Night At The Sour Patch Kids House – Alexisjoyvipaccess RECAP! Next VIPAccessEXCLUSIVE: Lonnie Chavis Interview With Alexisjoyvipaccess At “The Outcasts” Movie Premiere!